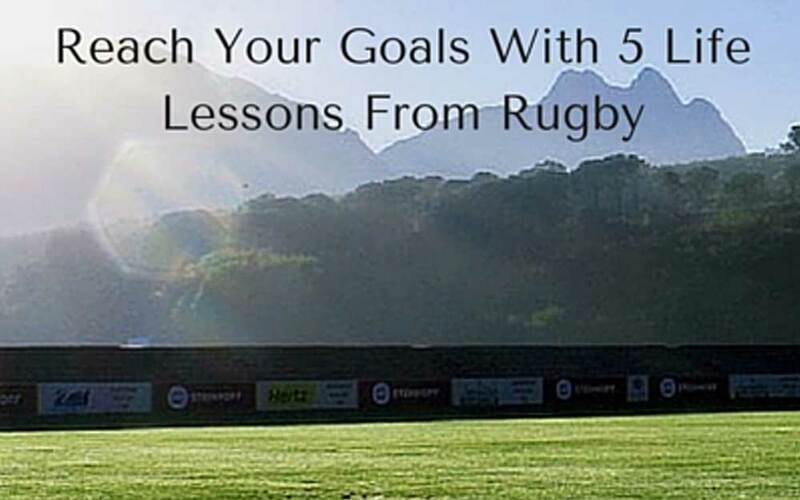 Reach your goals with five life lessons from the sport of rugby. The world of rugby offers important life lessons that can help you achieve your goals, regardless of whether you watch the game or not. On Saturday 25th June 2016 the England rugby team made history by winning the Test Series in Australia. Not only did they win, it was a whitewash at 3-0. 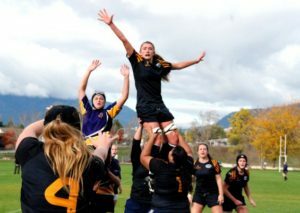 I love rugby so I was overjoyed and immensely proud. Like many of us the team had a goal, theirs was to win the series. This is a short term goal, the long term goal is to be the number one rugby team in the world. How often do we find ourselves comparing ourselves to others only to feel we come up short? Then decide not to bother reaching for our goals or worse, try and be someone we’re not in an attempt to be ‘as good’ as the other person. The energy that’s wasted on that could be used to build on our own unique strengths, gifts and talents, rather than focusing on what we can’t do. We can then use these to help us achieve our goals. Once Billy learnt to focus on and play to his own strengths, he found out he was better than good enough. Undoubtedly when you decide to ‘Play your own game’ so will you. New England coach Eddie Jones is not afraid to learn from his mistakes and move on. Twice during the Test Series in Australia he replaced a player within 30 minutes of the game starting. Realising he’d made a mistake when the team weren’t performing well against Australia, he changed players rectifying his initial error. In doing so he was admitting, on a very public stage ‘I made a selection mistake’. His ability and willingness to do this made all the difference to how England performed, and ultimately led to the Test Series win. 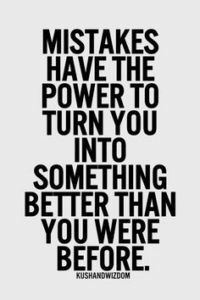 Mistakes are quite simply a decision that hasn’t worked out as we’d hoped, planned or foreseen. They’re only embarrassing or humiliating if we choose to view them as such, regardless of what others may tell you. Yet because we understand them to be ‘an act or judgement that is misguided or wrong’ there is a fear in making mistakes. Unfortunately, this fear often stops us reaching our goals, because we don’t want to be seen as being ‘wrong’. However, without mistakes we don’t learn different or better ways of doing things; or even different and better ways of ‘being’. Our decision making definitely can’t improve. It doesn’t even matter how many you make, just learn from it (making time to reflect) and move on. Admittedly, it sometimes takes several similar mistakes before the learning sinks in, but that’s ok. Eddie Jones made selection errors twice out of the three games. So take a leaf from a successful International Rugby Coach. Because if Eddie Jones is prepared to make a mistake (in the full glare of the public eye) and move on, then surely we can to. In an interview ‘Sporting Heroes’, Martin Johnson talks about the journey of the World Cup winning team he captained. He shares how they had the goal of winning the World Cup, but didn’t think of it in these terms. Instead they took a game at a time, building towards their goal. Once the competition began he said that to be talking about winning the World Cup before they’d got out of the pool stages would have been a nonsense. Instead they lived in the present moment, focusing on winning one game at a time. They understood that if they didn’t, they wouldn’t have the opportunity to go on and win the World Cup. Even when they got through to the final, he says how three days before the game fans would cheer him on. In the meantime he was thinking ‘It’s only Wednesday, the games on Saturday night, what we need to do today is train’. Martin Johnson describes how the team developed over time as building blocks. This included their physicality, mental attitude, experience, and skill . We may not need to develop physically but to move towards our goals does take building blocks. These will look different for each of us. However, they’re likely to include; a positive and resilient mental attitude, experience, skills and patience, all of which take time to develop. So if you want instant results you’re going to be disappointed. Instead try adopting the mindset of Martin Johnson and ask yourself, ‘What do I need to be doing today, in this present moment towards achieving my goals?’ Then focus on that. Whatever your goals, whether related to health, well-being, relationships, career or personal development, a form of ‘training’ is necessary. This will ensure you’ve prepared as much as possible to achieve it. Obviously for rugby players this involves physical training, aerobics and weights. Repeated practice of set pieces and specialist skills such as goal kicking – just think Jonny Wilkinson. Rugby training now also includes sports psychology and nutritionists. For you it could mean attending relevant training, reading, research or learning a new skill. Whatever ‘training’ looks like for you, it needs to equip you with the skills, knowledge and experience to have the confidence to achieve your goals. Because our goals usually require us to leave our comfort zone, feeling equipped to do this improves the likelihood of success. Over time your ‘training’ is going to change as you and your goals change. The important thing is to understand what ‘training’ is required and then put it in place. 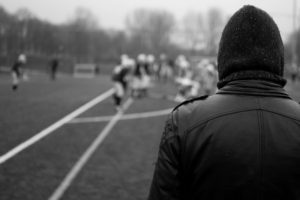 Standing on the sidelines won’t help you reach your goals. You’ve got to be prepared to train. As well as intense training sessions the rugby team talk about the importance of the recovery period. In terms of our ‘recovery’ this will look different for each of us; from holidays to watching TV. Whatever works for you it’s important to get a balance between training and recovery (work and rest) so you can stay on track to achieving your goals. Rugby is a team sport, it can’t be played or won by a single person. Each player has a role, but they work together and support each other towards a common goal. Both on and off the pitch. Additionally they have a team of coaches and support staff with this shared goal. All of this greatly improves their chances of success. Who’s in your team? They’ll be the ones who support you practically and/or emotionally. People who help you learn, grow and achieve. Be they your family, colleagues, network or community. Some will be willing to share and pass on their advice, skills and knowledge. In the England rugby team Jonny Wilkinson (forever famous for his World Cup drop kick) is coaching George Ford and Owen Farrell to improve their kicking game. Others will be there to give you a pat on the back when you do well and encourage you when things aren’t going so well. Billy Vunipola cites Eddie Jones as his mentor. With your team supporting you, you can reach heights you can’t by yourself. However, you don’t have to be part of an organisation to have a team around you. They could be more like the coaching and support staff in rugby. For example I have a client who has a goal around improving her health. I’m just one person of a team she has gathered around her to help her achieve this goal. She knew where she needed support, identified who could help her, then took the necessary steps to get them in place. Once you’re clear who’s already on your team thank them, acknowledging their contribution. Next see if there are any gaps in your support, is there anyone else who could help you accomplish your goal? If there is, learn from the success of English rugby and keep building your team. Well done England rugby team, the under 20 squad and the Saxons. I’m so proud of all you and thanks for the life lessons.